A splendid detached and spacious 4/5 bedroom house of character fitted to exacting standards throughout. Originally constructed in the 1930s with later additions, Clearwater has undergone a complete redesign and major extension of recent years, creating an unusually spacious residence which could equally suit a young family, as much as a couple in their retirement. Set in a peaceful, secluded and important corner position in one of the most sought after roads within the heart of this pretty period village; Horseshoe Road has long been noted for its very attractive mix of modern and period residential properties. The property is only a few minutes level walking distance to the village`s fine shopping, amenities, cafes, train station and Pangbourne Primary School and is in close proximity to the beautiful pastureland and footpaths to the rear of Meadowside Road. High hedges give seclusion to all boundaries and the gardens have been attractively landscaped with the sitting room and the ground floor bedroom having French doors accessing the garden and the stone laid patio, perfect for summer dining. Summary of accommodation: Enclosed entrance porch, reception hall, cloakroom, snug, open plan area comprising of sitting room, dining area and kitchen with walk through access to utility room/boot room with separate door to the exterior, study, gymnasium/integral garage, ground floor bedroom with large ensuite, 4 bedrooms, bathroom and ensuite wet room to the first floor, gas fired central heating and water softener. Gardens: Pretty landscaped gardens with high hedges giving seclusion to most boundaries, summer dining stone terrace, well maintained lawns, raised flower beds, secure bike store to one side and side access to the garden to the other. 5 bar gate gives access from the road to a large gravel car parking area. Local facilities: Pangbourne is a wonderful period village with a fine selection of award winning independent shops, a small supermarket, Costa Coffee, health centre, dentists, library, hairdressers, riverside pubs and fine restaurants. The River Thames runs through the village and has riverside meadows, children`s play area, tennis courts, football pitches, a bowling club and Pangbourne Adventure Dolphin centre offers canoeing and climbing instruction. Beale Wildlife Park & Gardens is a couple of miles up the road and is a lovely place for young families with amazing animals, birds, gardens, play parks, a splash pool and miniature train. Near to Beale Park is Basildon Park, the National Trust property, featuring a splendid Georgian mansion surrounded by 400 acres of parkland. Pangbourne offers superb transport links with a fast train service to London Paddington, Oxford and Reading, the imminent Crossrail offering fast links to the City in the coming years, as well as buses to all local areas. 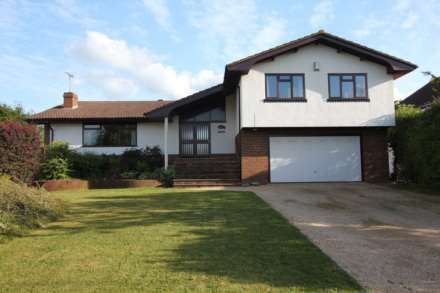 Excellent schools: Walking distance to Pangbourne Primary School which offers Foundation Stage 1. Catchment for Langtree School with a bus from the village. Easy reach of a number of fine independent schools; Pangbourne College, Bradfield College, St Andrew`s Preparatory School, The Oratory School, Downe House, Cranford House and Moulsford Preparatory School. There are bus pick up points in Pangbourne for Abingdon Boys and St Helen & St Katharine Girls schools in Abingdon, and Reading School for boys and Kendrick School for girls in Reading are easily accessible by a short train journey. Directions: From the offices of Singleton and Daughter turn left and left again at the mini roundabout. Proceed over the next mini roundabout at The George Hotel and at the Londis convenience store, turn right into Horseshoe Road, number 24 will be found a little way along on the right hand side. Services: All mains; electricity, gas, water/drainage. Water softener.